Blood pressure is the way people measure the power of the blood moving against the walls of the arteries and veins. The process is quite simple: the heart pushes the blood to the vessels, and they transport it throughout the entire body. High blood pressure (also known as hypertension) means that the heart has to make an extra effort to pump the blood which leads to many conditions such as thickening of the arteries, kidney disease, strokes and eventually heart failure. To understand better, think of your heart doing two things: first, it has to contract to pump blood, second it needs to relax quickly so that the blood comes back. As you know, the heart is a muscle, and if it gets thicker, it will require more time to relax. This process is called diastolic heart failure as the force which pushes the blood through the veins is called systole, and the force that helps the heart relax is known as diastole. You are facing hypertension when your blood pressure is above 140-159 (systolic blood pressure) over 90-99 (diastolic blood pressure). People older than 60 should become concerned when their blood pressure gets above 150 over 90. We may talk about many factors that influence this parameter, but scientists never pointed out the exact reasons for high blood pressure. They include here the following indicators: obesity, extended alcohol consumption, smoking, stress, not enough physical activity, genetics, eating salty foods, thyroid or adrenal disorders, kidney diseases which become chronic, older age, sleep apnea, history of high blood pressure in the family. 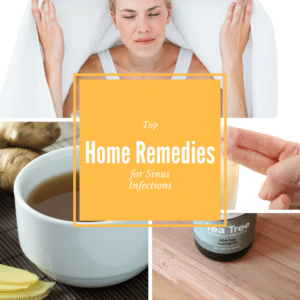 When you get this diagnose you should first make some changes in your lifestyle and try home remedies for high blood pressure before jumping to medication as you may get some side effects from over-the-counter drugs. 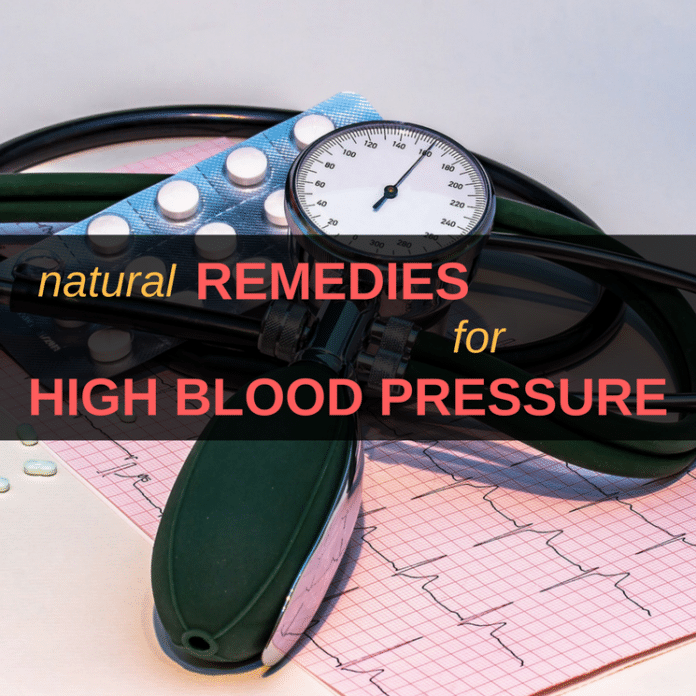 Following are the most used home remedies for high blood pressure. 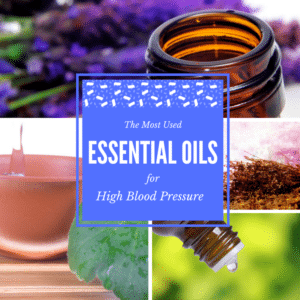 To learn more also on how to lower high blood pressure with essential oils you can look at the related article. Beets contain inorganic nitrates which are essential for lowering the blood pressure. A review of “Heart and Circulatory Physiology” (2015) – points out that people who have heart problems due to stiffness experience of a lack of the compound nitric acid. This chemical can make the arteries loosen up thus letting the blood flow to the heart increase. Another study from 2015, published in Hypertension, – shows that that beet juice is an effective home remedy for high blood pressure. Besides from this effect, it can also increase the amount of oxygen delivered to the heart, and raise to endurance to physical activity. Even last year, in 2016, “JACC Heart Failure” published another study conducted on twenty people (69 was the average age, they all suffered from high blood pressure) which drank beet juice for a week. After just seven days, their blood pressure went down by 14 mm/Hg. Scientific studies even showed that drinking half of glass of beetroot juice per day would lower the blood pressure due to the nitrates this plant contains. Continue with this treatment until you see an improvement. It seems like our ancestors knew that garlic is good for heart diseases. Recent studies, like the one published in “Nutrition Research” in 2014 also show that garlic can successfully be used as a natural remedy for high blood pressure. This plant contains allicin, a compound which has a lowering effect on blood pressure. It is especially effective for those suffering from hypertension. Scientists even suggest that garlic fights better against higher blood pressure which is why you should try this cure when the parameter reaches high values. Pakistan Journal of Pharmaceutical Sciences published research in 2013 which presented a study made on several patients who suffered from hypertension. The results were surprising: the effects of garlic over the ailment were the same with the effects of high blood pressure medicine. The individuals were separated into few groups, and each of them received a garlic dosage (smaller or larger), a placebo or medicine. The study also pointed out to the fact that the reduction is greater when the garlic intake is higher. You may only chew the garlic, or add it to different salads. Either way, you will benefit from the beautiful properties of allicin and will soon notice a decrease in your blood pressure levels. One of the most used and versatile item from your kitchen, apple cider vinegar may have a strong effect in treating high blood pressure. Holistic healers say that ACV can help in soothing this condition because it has the power of balancing the pH of the body. Many people use it for losing weight since it is effective in removing fat deposits inside the body, thus leading to a better blood circulation. The effect will be a lower blood pressure in the arteries and veins. 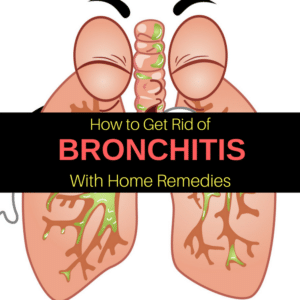 So don’t be afraid to try this home remedy. Combine the two ingredients and stir well. Drink the mixture before meals, three times per day. Info: It is possible that you don’t enjoy the taste because it is quite acidic. Try to dilute it in less water, just half a glass. You will be able to drink it faster. However, the taste will be stronger. The best thing you can do is to try both of the alternatives and see which one works best. Not only it smells great, but scientists also declared cinnamon a great way to get rid of high blood pressure fast. Several types of research were made between 2000 and 2012. For example, the Journal of the American College of Nutrition handled a study which showed a direct connection between the intake of cinnamon and the decrease of blood pressure. It is especially useful for people with diabetes, but it also works for people who are not suffering from this disease. Another research showed that the systolic blood pressure drops down with at least 5mmHg while the systolic one is reduced with about 2.6mmHg, even if the duration of the cure is not long. Scientists are not very sure of the reason cinnamon is that helpful, but they believe it is because this spice has the ability to reduce the amount of insulin which goes around the body. It can be the explanation for what is happening in the case of diabetes. Add it to the foods you eat. One great way of enjoying it is to combine the powder with 1 tablespoon of honey. You should take some caution when buying this spice. Since you may find powdered cinnamon in almost every grocery store, indeed you would be tempted to purchase it. 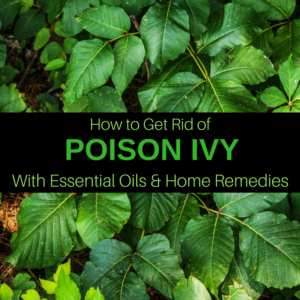 This type is derived from Cassia and contains a potent chemical compound called Coumarin. Unfortunately, it becomes toxic when you exceed administrating a particular dosage. It means that instead of curing high blood pressure, you may end up with some liver or kidney damage. Avoid this situation by looking for cinnamon sticks which usually belong to Ceylon plant. If you want powdered cinnamon, just grind the stick. Or add it to flavor your tea or other cooked dishes. Furthermore, when you suddenly introduce a high amount of cinnamon in your diet, you may face certain problems such as an upset stomach (so it is not advisable in case of ulcer), gingivitis, irritation of the oral mucosa or even flushing (you get a warming sensation on your face due to the rush of blood in that area). It also shouldn’t be used together with some medicines like aspirin. Pregnant women need to take care when utilizing cinnamon to prevent uterine problems. Specific to Asian cuisine, ginger has been accredited by the holistic healers with the ability to treat high blood pressure. The plant contains some chemical compounds which may aid in lowering the overall cholesterol, in many cases responsible for heart diseases. The plaque stuck on the walls of the arteries and blood vessels could be enlarged by low-density lipoproteins, components of cholesterol. This may obstruct the proper blood flow because the diameter of the veins becomes smaller and less elastic. All these abnormalities lead to an increased blood pressure as the amount of blood remains the same, but it has to pass through reduced passages. 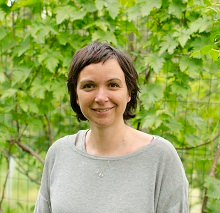 Therefore, a treatment which can help in reducing cholesterol and lipoproteins is more than welcome. Ginger also does another great thing: it can prevent the formation of blood clots in the arteries. They are some other obstacles that can block the regular blood flow, increasing the blood pressure. The best way to use ginger is to prepare a tea. Pour the water into a teapot and place on the stove. When the water starts bubbling, add the grated ginger and simmer for about 10 minutes so that all the nutrients pass in the tea. After the time is up, remove from the heat and let it rest for a couple of minutes. Use a sieve and strain the liquid and add a teaspoon of honey after it cools down. You may also enjoy it unsweetened if you prefer to. Drink 1-2 cups of ginger tea per day to improve your health and lower the blood pressure. Quite often, stress can induce an elevated pressure in our arteries, so yoga is extremely useful as a high blood pressure home exercises which will lower high blood pressure. Everyone who is practicing yoga knows that each session begins with pranayama (breathing) exercises. If you do that lying on your back, you will feel that the air is passing smoothly through your body, without anything to block it. Numerous studies have shown that regular breathing exercises can lower the blood pressure. Yoga also works on calming the body and soul, bringing balance for the nervous system. There are some poses (asana) which can help you fight the elevated pressure. The next sequence is specially designed to help you feel better. You should feel relaxed and peaceful while performing them. If a feeling of dizziness or warmth appears, just rest in the child’s pose (balasana). At the end of the practice, stay in savasana (lay down on your back, hands near the body with palms facing up) for at least five minutes and breathe consciously. Stay on your hands and knees. Gather some blankets and place them under your head for support. Begin by straightening your arms and pressing the weight equally on both hands. Also, straighten the legs and lift the pelvis. Check the distance between your feet; it should be wider than hip-width apart. Relax your neck and try to bring it together with the head between the arms while straightening the back. Keep your legs straight and, if that is possible, bring the heels to the floor. Don’t push too hard; you should be able to maintain this pose for several minutes. For certainly you won’t do that if you feel any tension or pain in the body. All this time your head needs to stay on the blankets, so you don’t get dizzy from the upside-down move. To get back, bend the knees and return to the child’s pose. You should also perform this pose with support for your head, like a foam block or more, depending on your flexibility when bounding. Place your feet shoulder-width apart. Put the head bolster in line with your toes. Curl forward as much as you can to keep your feet straight. Rest your head on the support. Reach with the hands at the back of your legs and grab the ankles. Try to direct most of the weight to the feet. Separate the neck from the shoulder blades to feel it long. While standing in this pose, keep breathing and relax. Stay like this for maximum three minutes. When you want to come up, just put the hands on the hips and raise your body while inhaling. Get a thick mat and fold it. Put it on the floor and lay down on it. Straighten your legs in front of you, and place the feet hip-width apart. Take a pillow and put it on your feet, and a blanket on top of it. Bend forward, resting your head on the pillow. Keep your back as straight as you can, trying to extend the buttocks so you can lean more. Your hands should reach the outer edges of your feet. Breathe consciously for two minutes, and then return to where you started. This pose might seem a little bit complicated, but it is extremely useful yoga home exercise for high blood pressure when performed with blankets, mats, pillows, and chair for support. Lay down on your mat after placing a chair close to your head. Raise your legs towards your chest, your buttocks and your back until you remain with only your shoulders, neck and head on the floor. Get your toes on the edge of the chair. Your head should be resting on a blanket, and you also might need a bolster under your pelvis for support. Keep breathing in this pose for up to two minutes. Meanwhile, your head, neck, and face should be completely relaxed. To come back, bend your knees and take them back to the chest. Straighten the legs and stay like this for a minute before getting up. For this particular pose, you will also need a bolster or a large pillow. Sit on one end, with your knees bend. The feet should be on the floor. Lie on the back, pushing with your heels until you manage to reach the floor with your shoulders. Slightly change your position and try to relax if you feel any discomfort. Close your eyes and breathe. You may even spend ten minutes in this pose, completely relaxed. When you want to return, just bend the knees and place your feet back on the floor. Pushing with your back, move the bolster underneath your legs. Roll your body on the right side and get up. Once again, do not push yourself too hard. Yoga is supposed to be relaxing and healing. When any sign of pain occurs, stop and rest in child’s pose or savasana. Acupuncture may also bring high blood pressure relief. Several studies were conducted on this subject, but they returned mixed results. However, some patients swear by it, others didn’t notice any difference in their condition. You may certainly try it and see if it works for you. Ask a specialist for help; it is not a thing to try at home as you may hurt yourself. In 2009, the Indian Journal of Biochemistry & Biophysics published a research made with several individuals who ate one teaspoon of ground cardamom every day for a few weeks. The result was clear: a large decrease in blood pressure. Again, scientists don’t know exactly why this spice is used for treating hypertension, and they need to conduct more studies to find out. The best way of using cardamom is to combine it with cinnamon and ginger, all of them having important properties and the ability to improve blood circulation. Break up the cardamom pods. Pour the water and the milk in a small saucepan. Add the ginger, cardamom, and cinnamon. Lower the flame and simmer for about 8-10 minutes until it gets browny after the liquid starts to bubble. Remove the solids using a sieve and add honey to taste. Enjoy once or twice daily. Not many people have heard about Hawthorn. But the amazing truth about this herb can treat a lot of heart problems because of the high content of flavonoids. Quercetin and oligomeric procyanidins (OPC’s) especially may bring many benefits in case of palpitations, arrhythmia, and they boost the function of capillaries, also reducing the risk of developing hypertension. So Hawthorn is an excellent herbal remedy for high blood pressure as it enlarges the veins, leaving room for the blood to flow properly. Also, prepare a tea out of one teaspoon dried hawthorn berries and one cup of water. Simmer the fruits for about 5 minutes, strain and leave to chill. Add one teaspoon of honey for a more enjoyable taste. Place the dried flowers in a mug and cover with water. Let the herbs infuse for five minutes. Strain the tea, let cool a little bit, and add honey to taste. You may drink two or three cups per day. You should know that the sodium levels in our body don’t grow because of the salt we add to our cooked food, but because of the high amounts in processed foods. To stay away from it, cook more at home. You may even skip the salt, and season your foods with herbs and spices to add flavor and taste. If you still buy processed foods, carefully read the labels, and go for low-sodium alternatives. It is possible that you are so accustomed to this taste, that you will just not be able to eliminate salt from your diet. In this case, just cut it down gradually because you will get used to it eventually. Studies have shown that half an hour of physical activity each day can decrease the blood pressure by 4-9 mm Hg. The important thing here is persistence. If you stop exercising, the blood pressure may increase again. Either you suffer from prehypertension or hypertension, physical activity can help in bringing the blood pressure to normal levels. Try getting outside more, jogging, hiking, walking, swimming, cycling or even dancing. If you are up for more, try strength training. It would be better to talk to a certified coach or even your doctor to help you create an exercising routine for treating high blood pressure. Depending on what and how much you drink, alcohol can do you more harm than good. For example, a small quantity may reduce the blood pressure by 2-4 mm Hg. More alcohol than one drink (meaning five ounces of wine or twelve ounces of beer) can increase the blood pressure and even interfere with any drugs you might be taking. This is a debatable subject because caffeine may or may not raise the blood pressure. If you are a regular coffee consumer, it will have no effect on you.Also, if you drink it on rare occasions, your blood pressure may increase with 10 mm Hg. Furthermore, if you want to acknowledge the effect on your body, check the pressure within half an hour after enjoying a coffee. An increase of 5-10 mm Hg may be a sign that you should cut down on this beverage to keep yourself healthy. Extra weight may bring additional blood pressure. If you want to get rid of it fast, you need to lose weight first of all (in this is applicable in your case, of course). Also, if you usually collect fat around the waistline, you will be at a greater risk of developing hypertension. You can measure your waist and see if you are prone to this condition. To be safe, men’s waist should be smaller than 40 inches, and women’s waist should not go over 35 inches. 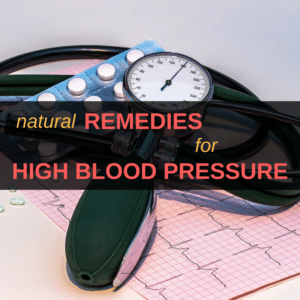 High blood pressure is not a condition to ignore as it may even lead to death, so it is better to consult a specialist if any of these home remedies and lifestyle changes don’t work in your case.